It’s only been four years since the last go-round, but the ‘Royal’ Air Jordan 1 Retro is one of the year’s most anticipated sneaker releases. 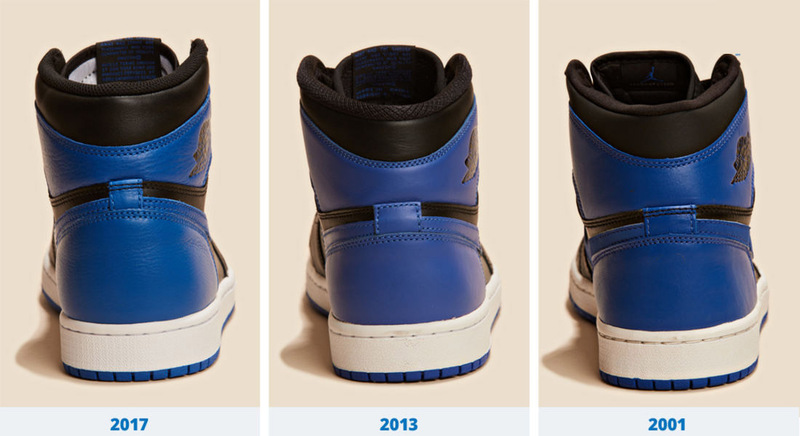 Originally released in 1985, the black and blue colorway first returned in 2001, before a 12-year hiatus until the next retro. 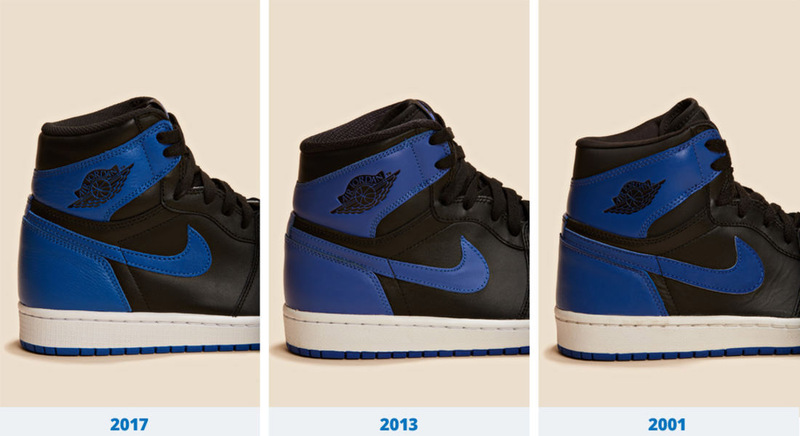 This time, Jordan Brand is promising remastered quality, which means they tried to construct it as close to the original as possible.To determine how well they did with the 2017 version, we compared every ‘Royal’ Air Jordan 1 Retro to date, breaking them down by each detail. Read on to see how this year’s release stacks up against its predecessors. The leather is different on each pair and the shade of blue gradually got brighter. Unlike the 2013 and 2017 releases, nubuck fills the Swoosh of the 2001 retro. The font used for Nike Air embroidery is different on each tongue, as is the material used to construct them. 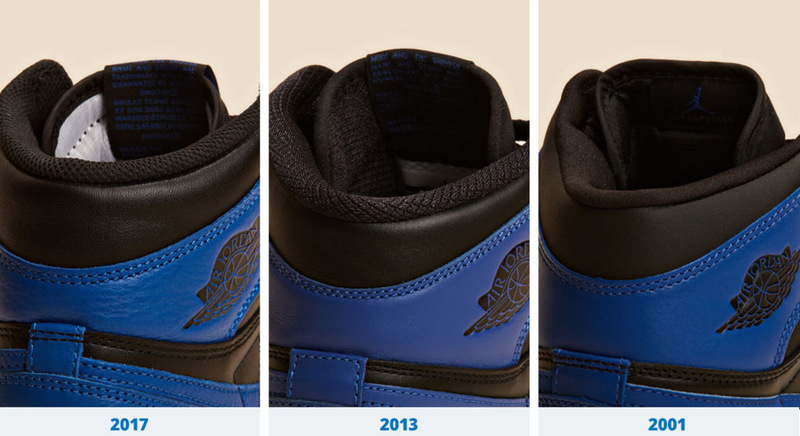 There’s less padding on the 2013 retro compared to the 2001 and 2017 pairs, along with a different lining pattern. The backside of the tongue on the 2001 pair features the Jumpman logo and production number. Logo on the back of the tongue and lining color is white on the 2017 retro and black on the other two. 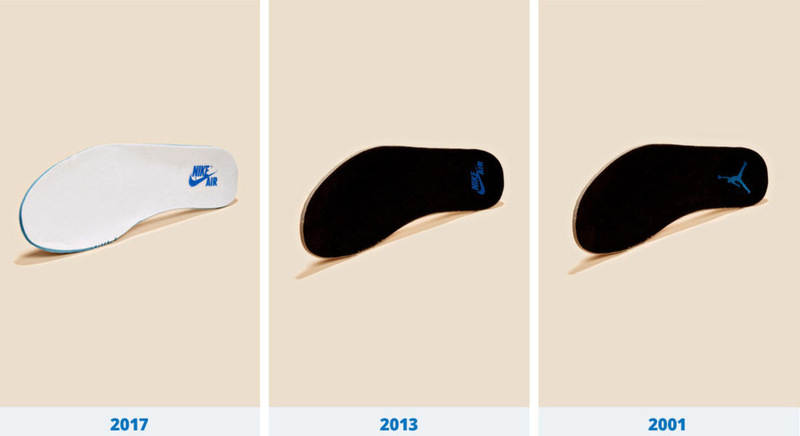 Sizing of heel tabs varies each year. 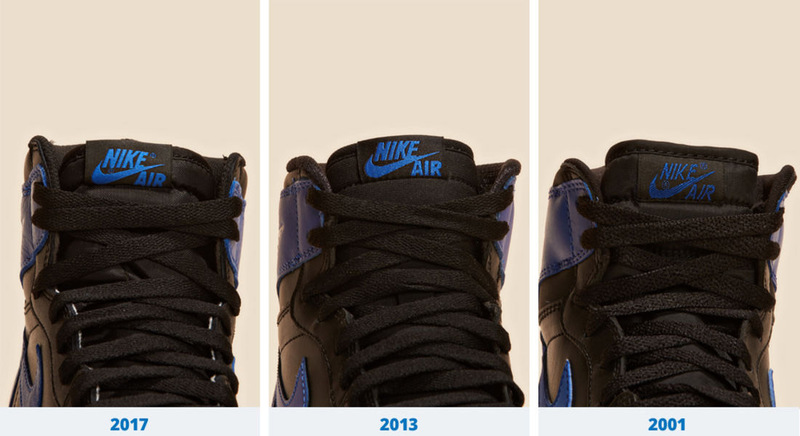 There’s no black stitching on the heel tab on the 2013 pair and the tab is a bit higher on this year’s retro. 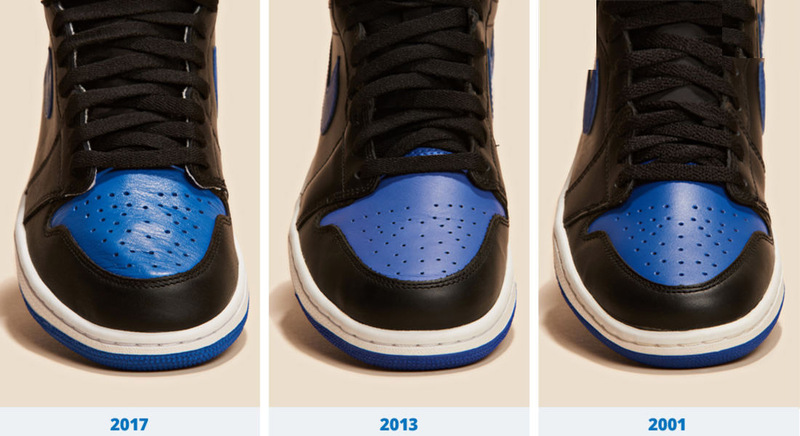 The 2013 pair appears to be more narrow when looking at it from behind when compared to the 2001 and 2017 pairs. Note the size, shape and positioning of the Wings logo on each pair. After the Jumpman graced the insoles of the 2001 Jordan retro, Nike Air returned in 2013 and again this year, but this time on OG-style white insoles. The size and arrangement of the perforations differ on each pair, as does the general narrowness of the toeboxes. 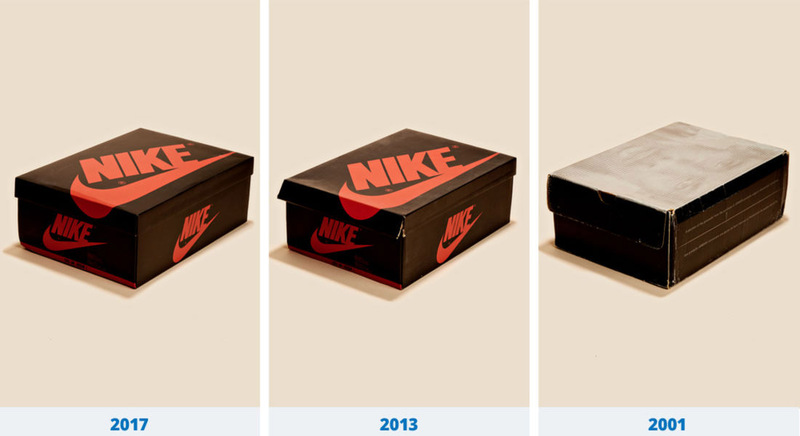 The 2001 release came with the ‘Jordan Face’ box, while the OG-style box returned for the 2013 and 2017 releases.